Send invoices within 2-3 days of billing period and invoice at least twice a month preferably once a week, to keep up with your expenses. Doing this as a social worker or a nurses will throw you out of your comfort zone, but you must, encourage clients to pay. Quickly send reminders after 1 week you have invoiced. You are playing the role of both a bill collector and a heath professional as a geriatric care manager business owner. Easy ways to prevent late payments are to get a credit card after you sign the contract and automatically bill the credit card. Each billing cycle. Always get a signed service agreement Contract when you open a case and put payment requirements in the contract. Remember to send a thank you note after the bill is paid. Reward clients with kind words. Financial projection may be mind numbing to care managers who started this business with a great idea and a tool box of care management skills. Beware– without tools to make money- your great idea of a private geriatric care management business may end up bankrupt. 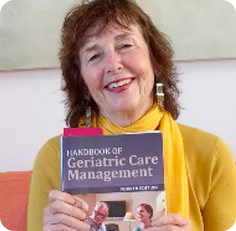 Geriatric care managers need to understand revenue- how they make money to be financially to make a profit. Revenue does come from billing – but poor billing is very unprofitable billing. Money losing billing is anything less than 85% of your client’s time. When you bill less than 85% you actually start losing money. Revenue is the high tide of money and is calculated by the number of client’s you serve, new client’s per month, number of clients canceling service. % of time billed (the goal is 85%) and what you change for travel time. Geriatric care managers can become more financially literate about making money by doing a financial projection over a three-year period. You can calculate the number of clients you need to make a profit, when you will break even, when you can hire new staff. You can find out awesome facts before you open a care management business by doing this mind numbing financial projection. Facts you can forecast are how much investment you will need for your business, what the cash flow consumed in the business will be, the number of client’s you need to make a profit and most of all when you will break even and rise above low tide– moving to the all-important high tide, through your excellent financial management and care management skills. So use this financial decision tool of financial projection. 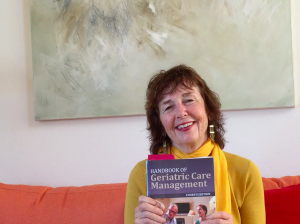 Find it chapter 13 of the Handbook of Geriatric Care management 4th edition and watch you tube 5 Financial Projection below. 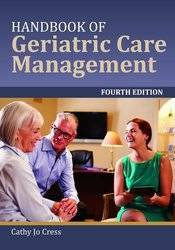 Become a geriatric care manager with financial skills to make a Profit. Geriatric care manager must change their mind-set and mission to bill 85% of their client time. Your mission must suggest that you are 100% clear you want to make money.It must appeal to the top 10% of the eldercare population seeking help with a senior.You use marketing and copywriting skills. A mission can be your tag line” Understanding Concierge Care Needs: Delivering Gold Standard Solutions” . Watch my You Tube below to learn how to craft a winning mission or tag line. Nurses and social workers can have an ethical dilemma running a geriatric care management business and having to bill for profit.Their education and ethics teach them to give their services away- not bill for them.As women they are hard wired to give things away or the human race would not survive. This creates a sharp edged double bind and often causes them to bill less of their geriatric care management time spent with clients.